Sometimes you don't want muffins, other times you feel like a cake - or perhaps you want a delicious on the go snack or breakfast? If you're like me and can't make your mind up - this recipe is perfect. I've made it into soft protein bars, banana bread, breakfast bakes, muffins and even a cake. It's high in protein, low in fat and gluten free - and if you use peanut flour, it combines the two most incredible flavours in one recipe (peanuts and bananas). But is it really that adaptable? You better believe it! Check out this lovely innard shot of my bars (which I cut diagonally because I'm a goose and ended up having protein triangles). 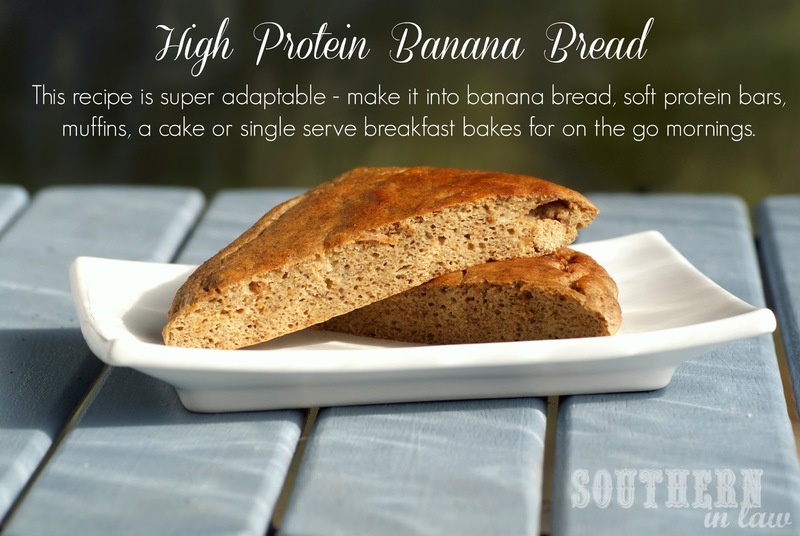 It's a different type of banana bread due to the peanut flour/protein powder and egg whites - so it's slightly denser rather than fluffy with a soft crumb - but it's super delicious. What's my favourite way to make this recipe? 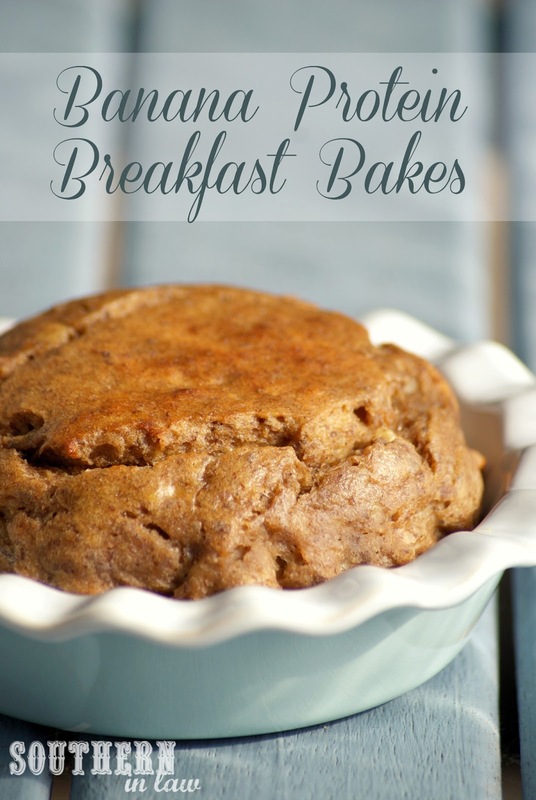 Into breakfast bakes, of course! These are perfect for breakfast, whether you crumble them into yogurt or cottage cheese, top them with peanut butter or cream cheese or eat them by themselves. But you want the recipe, don't you? In a bowl, mash bananas and add in egg whites, vanilla and honey (if using). 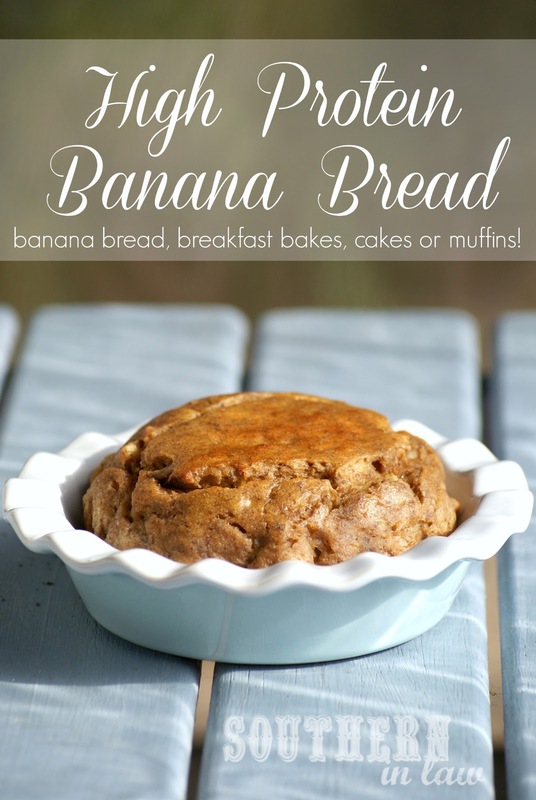 Mix together your peanut flour/protein powder, flour, flaxseed and baking powder and pour into the banana mixture. Mix until just combined and pour into your chosen tin. Keep an eye on your cake/bakes/muffins and take them out of the oven as soon as they are cooked through and a skewer inserted removes clean. 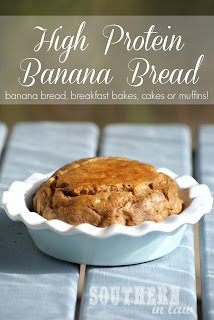 But tell me, if you had to choose between a banana muffin or a slice of banana bread, what would you choose. Muffins... always the muffins. There's something about those single serve portable beauties that gets me - breads and cakes are too easy to crumble! 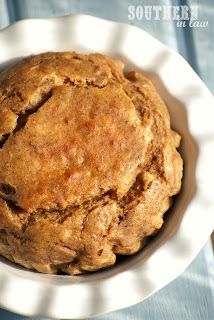 Can you suggest any substitutions for peanut flour?